When I pick up a camera, I slow down and take the time to really see the beauty in things. These moments of quiet in my art making are very satisfying and calming. I hope to convey these feelings to the viewer. 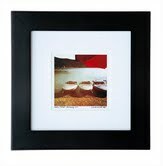 If I am accepted into the bazaar, I plan to sell prints of my work- some matted only, some matted and framed.